Moonshine was one of our foundation studs. He was very affectionate and watched the security of our kennel and home. 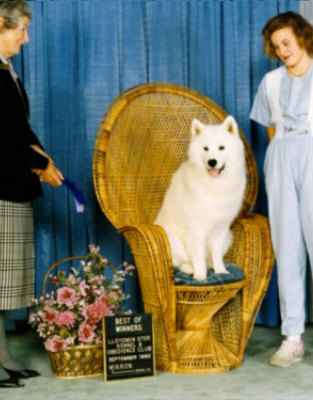 He sired many champions and top Canadian puppies. CH. JASAM'S SNOWMIST OF TRIARCTICA C.D. CH. TRIARCTICA'S KRYSTAL ZAHRA C.D.